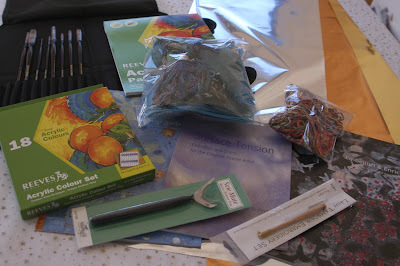 I may not have received a Christmas stocking but I did get some delightful presents - embellishment books and fibres, a couple of interesting tools, plus paints, paint pad and brushes for the art course I'm doing in a couple of weeks. Ooooh, that all looks very exciting. Bet you are itching to start playing.